JOHANNESBURG: In celebration of the milestone 25 years of the SA Music Awards (SAMA), the theme for this year is 25toLife. It’s a nostalgic trip into the past which provides a better understanding of the present, in a manner that excites us about the future. For a quarter of a century, the SAMAs have proven to be a mainstay of the local music industry. While music trends come and go, and influences evolve with every passing year, the SAMA remains the one constant element that spurs on the industry to do more and be the best in their endeavours. As the most prestigious and sought after trophy, the SAMA is a validation chased by every ambitious musician, singer, producer or engineer and anyone in the music food chain. From their humble beginnings at the Alberton Civic Centre, 25 years ago, the SAMAs have evolved into a glittering star studded extravaganza, broadcast live on SABC1 and attracting millions of viewers. In today’s world of social media, the SAMAs always sit at the top of the trends and are one of the most hunted invites for musicians, socialites, hustlers, the media and everybody in between. They have been hosted in Johannesburg, Sun City and Durban over the 25 years with Sun City dominating most of the years. 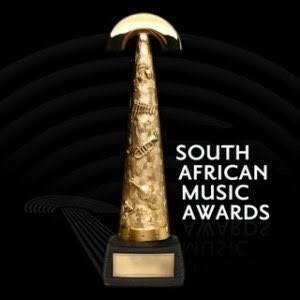 The SAMAs have honoured the achievements of practically all the musicians who have contributed to the music landscape, from the Sophiatown songbirds, Miriam Makeba, Manhattan Brothers, Dolly Rathebe, Dorothy Masuka, to 60s, 70s and 80s legends from a whole spectrum of music genres that spans bubblegum, pop, jazz and alternative. The SAMAs are also the most inclusive with winners in Afrikaans, traditional, maskandi, alternative and contemporary, along with popular genres such as hip hop, dance, kwaito and reggae competing on an equal footing. Our stage has been graced by some of the greatest talents to emerge from South Africa as hosts such as Trevor Noah, Bonang Matheba, Somizi Mhlongo, Kabelo Mabalane, the late HHP and presenters drawn from television, radio, government and the business sector. The collaboration mashup showstoppers are a trademark element that distinguish the SAMAs from the rest. These performances are eagerly awaited and with high production values, energy and daring effects always send the Superbowl into a frenzy. The red carpet has also evolved as a social highlight which attracts fashion pundits and is a hot topic of discussion among fashionistas, glamazons and those who have a keen interest in all things sartorial. Join us this year as we celebrate 25 years of this original South African story that continues to be written. "25 to Life is a celebration of the 25 years of SAMA’s existence and the role music played in driving social cohesion. We have lived music since the dawn of time and it has shaped the way we think and feel, and has helped us forge our identity as a nation. "We look forward to sharing memorable SAMA moments, from their humble beginning and how different genres have evolved in the last 25 years to reflect the country’s evolution. There is no doubt that South Africans live music and appreciate its meaning and impact in their lives, that is why the SAMAs continue to honour the artists through this premium event," said Nhlanhla Sibisi, RiSA CEO. Mme Ontlametse Mochware MEC for the North West Department of Culture, Arts and Traditional Affairs (CATA) said her department enjoyed an inseparable affair with the SAMA and Sun City as the meeting place. "We pride ourselves for the indelible mark and touching the lives of many a musician and the business community of North West Province who keep benefitting economically during the SAMA season. The SAMAs are turning 25, and along it, we celebrate 25 years of democracy as a nation. 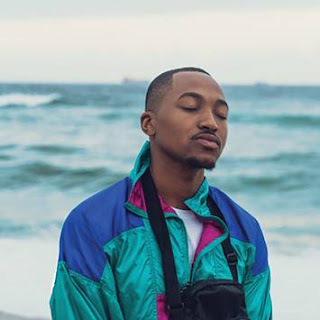 This year’s theme of 25toLife resonates well with the number of years which have brought life to the living through our partnership with the SAMAs," said Mochware.